The New Westminster School District is committed to establishing and nurturing community partnerships with local service providers to offer programs and services in our schools that promote the well-being of our children, youth and families. We believe that strong families are critical to the success of our children and youth and, ultimately, our community as a whole. We achieve this important goal through a variety of means that include after school and evening Community School programs and Neighbourhood Learning Centres that provide an array of programs throughout the day for children and their families including child care. We open our schools to welcome families so they may engage, learn and grow. We are fortunate that New Westminster is recognized for its collaborative relationships between community service providers, including organizations like KIDS NEW WEST Child Development Committee. The New Westminster School District promotes and encourages collaborative partnerships with community service providers to allow us to offer programs and services in our schools that promote the well-being of our children, youth and families. An array of active and engaging after school programs are offered for our children and youth through our Community Schools programs. Parents, grandparents and community members may also benefit from a variety of programs such as English language courses, a pre-school drop-in, financial literacy courses and others offered through Community Schools. Community Schools inspire personal growth far beyond the limits of traditional education. We are very excited to have two vibrant Neighbourhood Learning Centres (NLCs) in the New Westminster School District. NLCs are spaces within schools dedicated to community use for programs to services to strengthen and meet the needs of families in the neighbourhood. Our first NLC is located at Qayqayt Elementary School where we are proud to offer an Early Years Centre with programming for children 0 to 5 years of age and their families in addition to an array of other program offerings. The Lower Mainland Purpose Society also operates a licensed child care at the same NLC for toddlers and children ages 3 – 5 years of age. Our second and newest NLC is located at Fraser River Middle School. The centre opened in September 2016 and houses the Ready, Set, Grow child care for infants, toddlers and 3-5 year olds. An adjacent multipurpose room space will be used for an array of programs to serve the needs of children 6- 12 and their families. 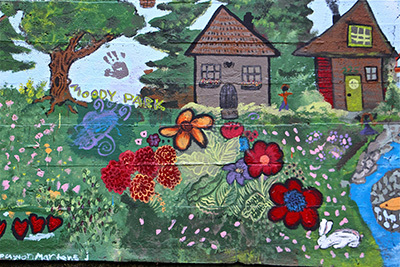 Learn more about Neighbourhood Learning Centres. In the New Westminster School District, we believe that quality, accessible and affordable child care provides significant social and economic benefit for the community. Research shows that quality child care has a direct relationship to school readiness, literacy development, poverty reduction, and community engagement. Although the New Westminster School District does not directly provide licensed child care, we have for over 20 years provided space in our schools for child care and before and after school programs operated by local non-profit societies. We believe that social-emotional well-being and healthy lifestyles increase learner success in the New Westminster School District. Healthy students are better learners and grow up to be healthy adults. The school district is working with community partners including Fraser Health to take a holistic approach to healthy schools through a Comprehensive School Health model.